Military Situation In Libya On October 21, 2018 (Map Update) 4.8181818181818 out of 5 based on 11 ratings. 11 user reviews. 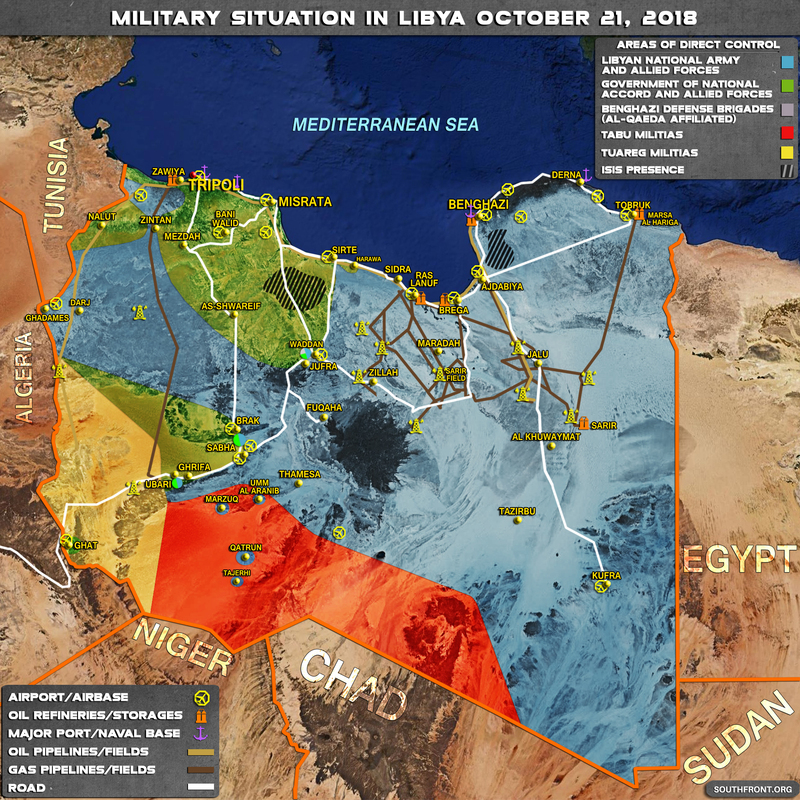 This map provides a general look at the military situation in Libya on October 21, 2018. Despite the withdrawal from the city of Sirte under pressure from other armed groups, ISIS cells are still actively operating in the areas north of Sirte and Benghazi. The Western-backed Government of National Accord is formally rulling a large chunk in the west of the country. Nonetheless, in fact, it does not control even Tripoli. The most of its area is controlled by different armed groups formally declaring its support to the Western-backed entiry, but pursuing only their own economic and political goals. Most of eastern Libya is controlled by the Libyan National Army (LNA) led by Field Marshal Khalifa Belqasim Haftar. 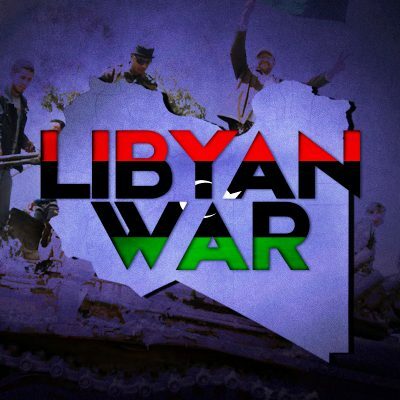 The LNA is actively combating militant groups within and near its areas and seems to be the only force capable to restore a kind of order in northern Libya. However, tihs is hardly possible right now because the US-led bloc is in opposition to the growing LNA influence. Some mainstream media even speculated that Moscow had send troops and sophisticated military equipment to assist the LNA. These are fake news. A documentary on this conflict would be greatly apreciated, Southfront! During the NATO intervention the Tuareg militias were condescendingly referred to as “African mercenaries” by our every-despicable corporate MSM liars, who were eager to misrepresent all loyalists as “repressors of the people”. Thanks, Hillary. Thanks, Obama. Thanks, FUKUS! Yes, there are so much to thanks to nobel peace Obama and Kissinger (are both jews ?). How can the world ever find peace whilst the USA continues to do this stuff. The free world needs to stand together and do to the USA, what we did to Nazi Germany. It seems only by killing millions, will the Americans accept that their actions are unacceptable, let the bombing begin, New York first.